The Turtle Island Restoration Network seeks a full-time Communications Manager for their office in the San Francisco Bay area of California. Do you love the oceans and coast? Are you ready to put to work your passion for protecting sea turtles, whales, sharks, and salmon from extinction? Use your strong writing skills and social media experience to get people involved in the fight for our oceans! 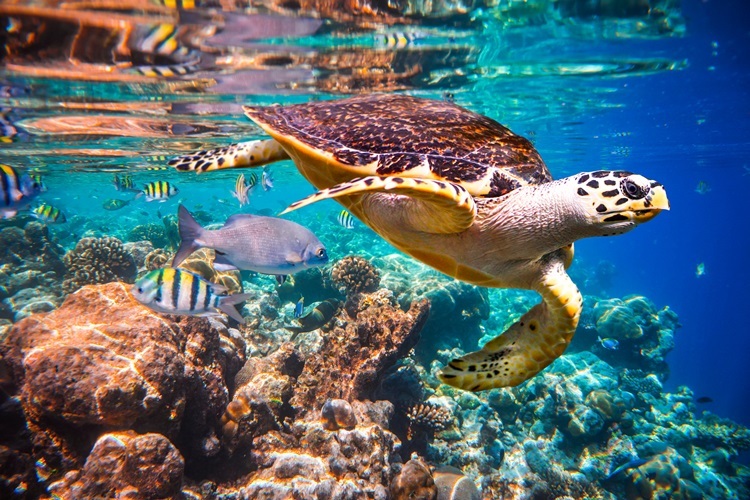 Turtle Island Restoration Network (TIRN), an award-winning marine wildlife protection organization with offices in California, Texas and Hawai’i, seeks a full-time Communications Manager to join our fast-paced, innovative environmental organization and be a key part of a team raising more than $3 million annually. Through our Ocean Wildlife Program initiatives and Salmon Protection and Watershed Network, we are leading the grassroots fight against extinction locally, nationally and internationally. We take on the big problems of the world’s oceans — industrial fishing, climate change, and pollution — with a can-do attitude. The Communications Manager is a valuable member of Turtle Island Restoration Network’s (TIRN’s) hard-working team of scientists, lawyers, advocates, and communicators. The position will be located at the Olema, CA office in west Marin County and will be responsible for managing and executing a strategy for key traditional and social media communications and messaging, marketing collateral, and public relations engagement. The Communications Manager will establish and carryout practices that will increase the organization’s visibility in the community and across the nation to strengthen development campaigns, programs and mission. This position will report to the Executive Director. A key goal for the Communications Manager will be to work with the Development team to implement and test strategies using earned media, email, social media, website content, paid advertising, and other tools to increase engagement and size of our email list. Report monthly to Senior Management on milestones and evaluation of new methods. A Bachelor’s degree is required. Major in English, Communications, Journalism or related field preferred. Experience with WordPress, social media, email marketing tools (e.g. Engaging Networks), media monitoring tools (e.g. Meltwater), web analytics tools and software, search engine optimization techniques, all preferred. This is a full-time, exempt position. We offer a competitive benefits package including two weeks of vacation, health insurance, and 15 paid holidays. Salary is commensurate with experience and comparable to other similar-sized nonprofit organizations.